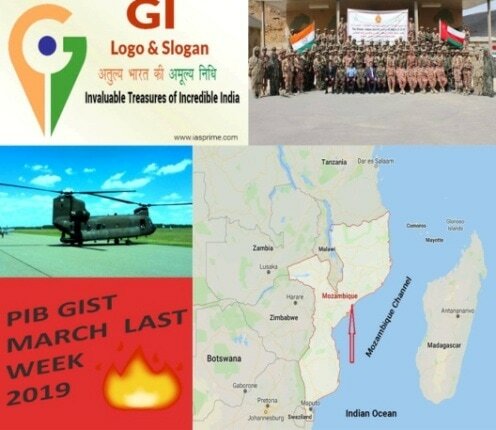 Various Parts of India welcomed the New Year on 6th April. 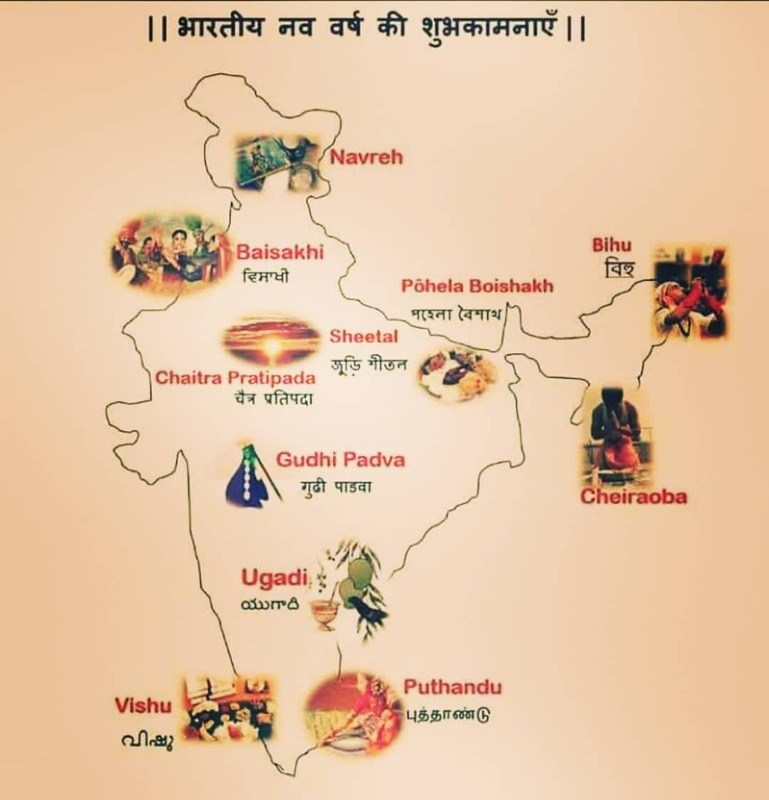 New year festivals like Ugadi, Gudi Padava etc were observed in different parts of the Country. 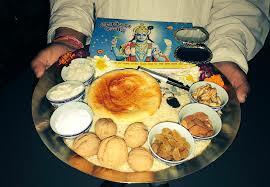 Navreh celebrated by ‘Kashmiri Pandits’ to mark the beginning of the Kashmiri New Year. Navreh is celebrated in the month of April. Navreh have Rigvedic and Proto-Indo-Iranian roots. In Navreh the Kashmiri Pandits makes “Thalis” (dishes full of assorted food items) which are to be kept overnight (one day before) so that they are the first thing one sees upon waking in the New year’s morning. Ugadi in Karnataka, Telangana and Andhra Pradesh falls in the Chaitra month (Chaitra generally falls in the month of April). Ugadi is celebrated by distributing Jaggery ( Gur / गुड़ ) and Neem flowers which is symbolic to sharing both sweet and bitter experiences of life. Gudi Padwa which falls in the month of Chaitra according to the Hindu calendar is celebrated in the state of Maharashtra . 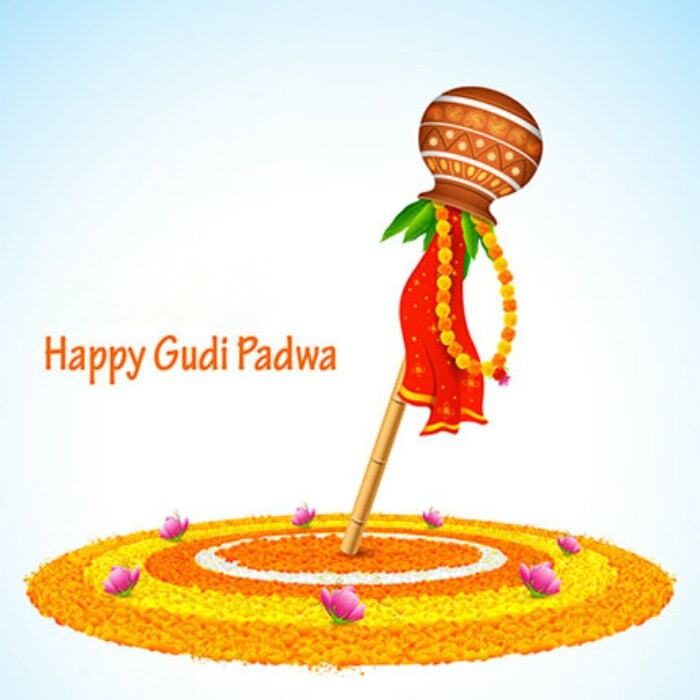 Gudi Padwa is celebrated by hanging Gudi on the right side of the month of of their house. Gudi is a bright yellow cloth tied to the tip of a long bamboo and copper pot placed in inverted on it along with a sugar garland. Baisakhi is the Punjabi New Year celebrated in the month of April by performing their folk dance, Bhangra and Gidda and feasting. In Gidda the main dancers are female. In the dance form, women show the same level of energy which the men show while performing bhangra. Puthandu is the Tamil New Year celebrated in the month of April by preparing Manga Pachadi a traditional food to ring in their new year. Vishu festival is celebrated in the state of Kerala to mark the New Year. It is the Festival of light celebrated with fireworks, decorating lights and bursting of firecrackers.